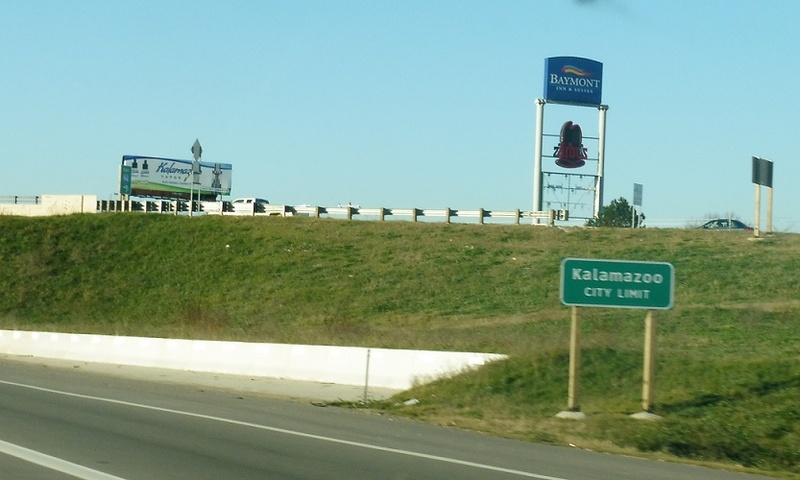 Just after the business loop split, we’ll enter Kalamazoo. 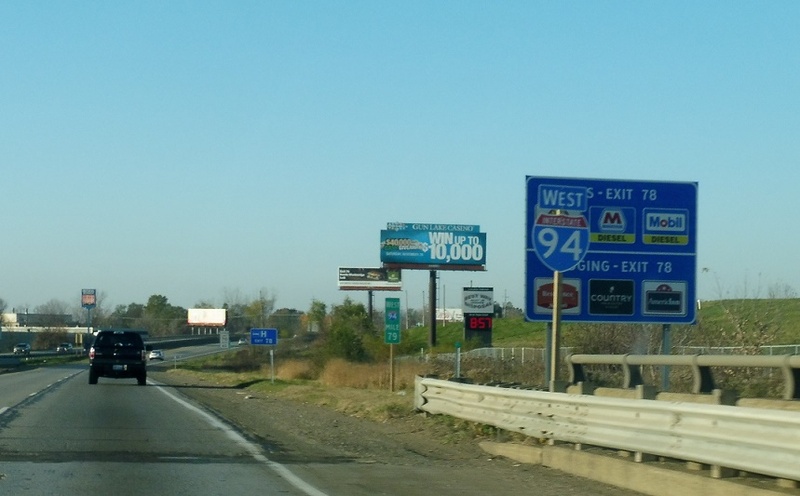 Reassurance shield after the I-94 Business junction. 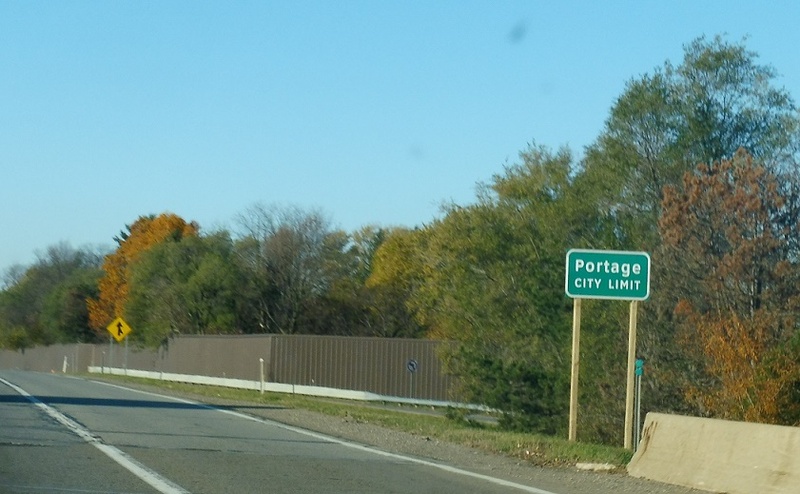 At the Portage Rd interchange, we’ll enter Portage. 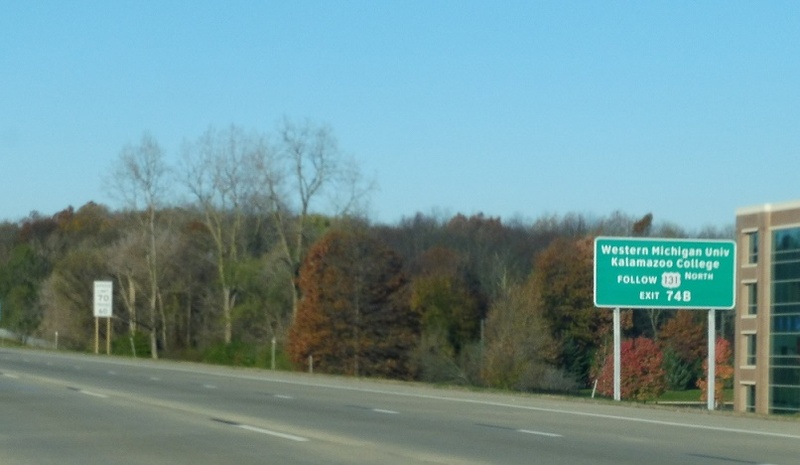 After we enter Portage, we’re 2.5 miles from US-131. Reassurance shield after Westnedge Ave. 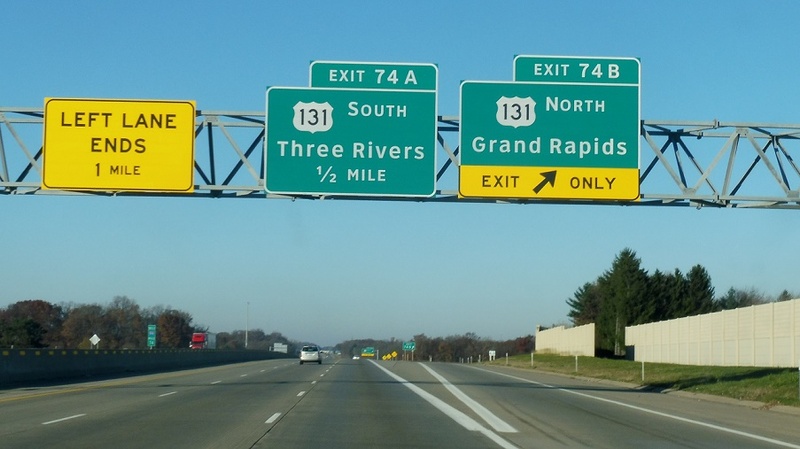 Follow US 131 north to go see some Chippewas. 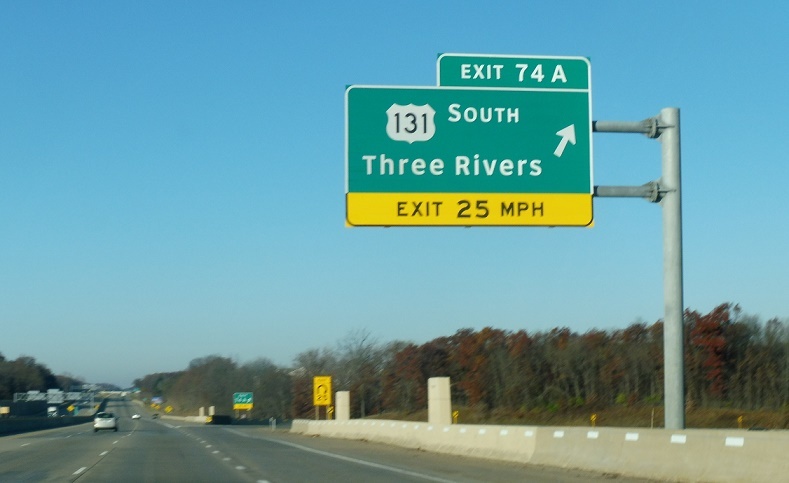 One mile to US 131. 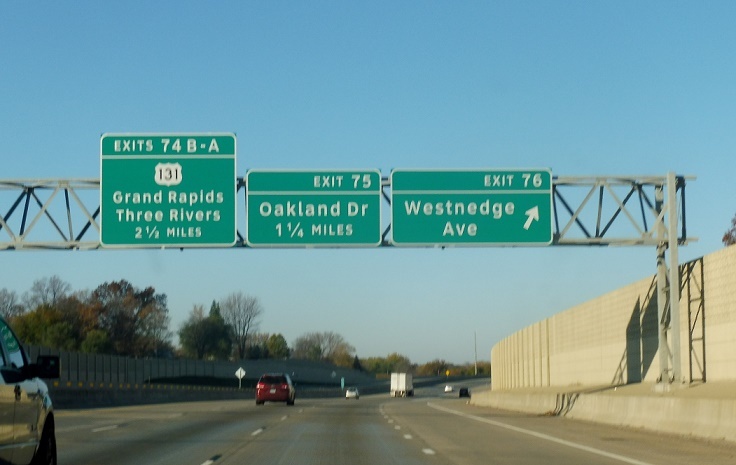 Reassurance shield after Oakland Dr. Keep right for 131 north. 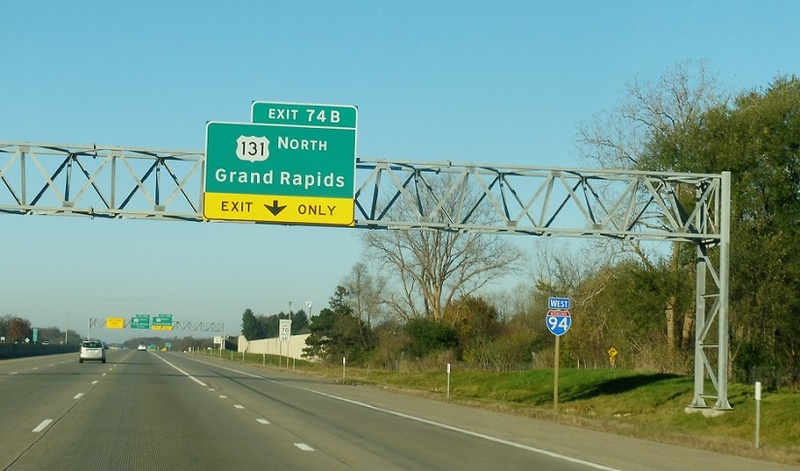 Exit for US 131 north. 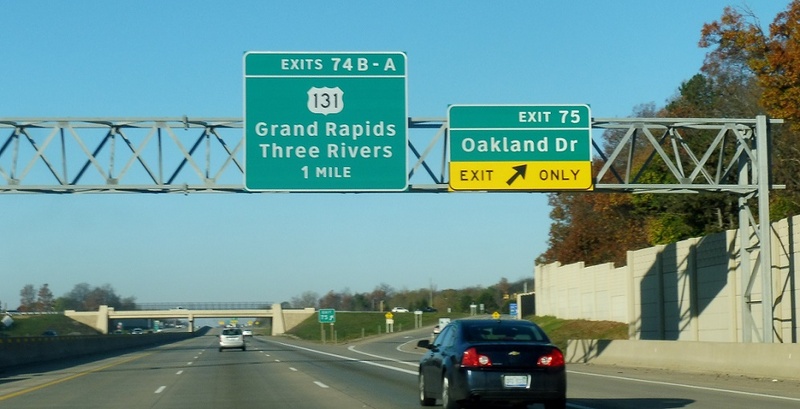 Exit for US 131 south. 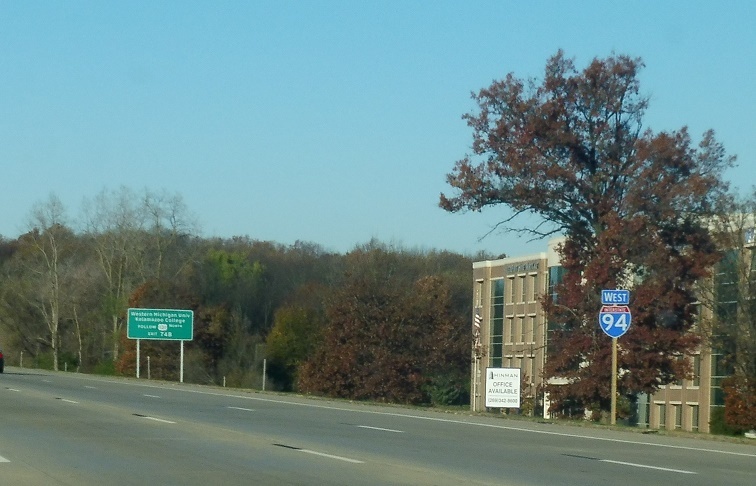 I-94 Business rejoins.